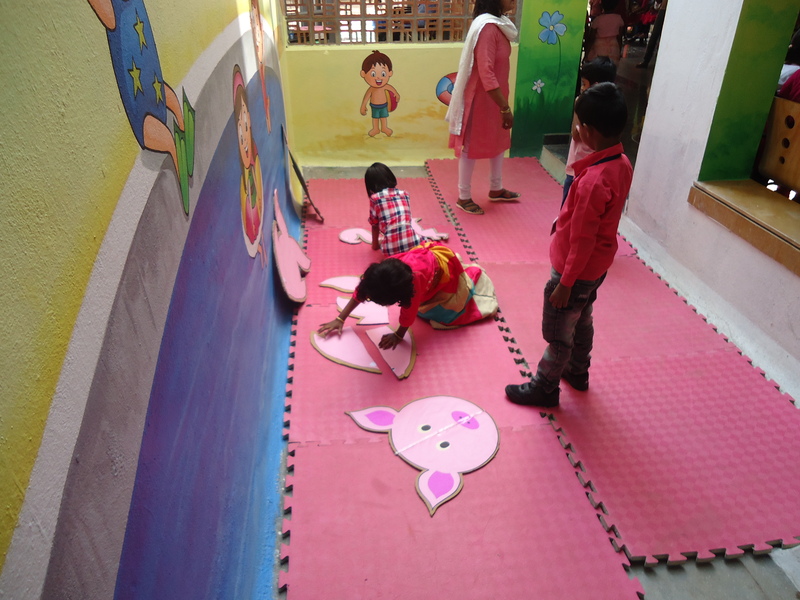 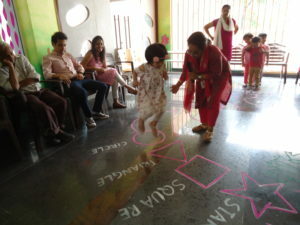 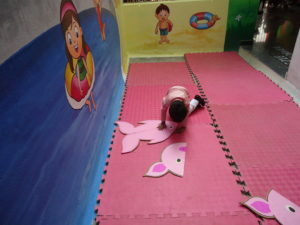 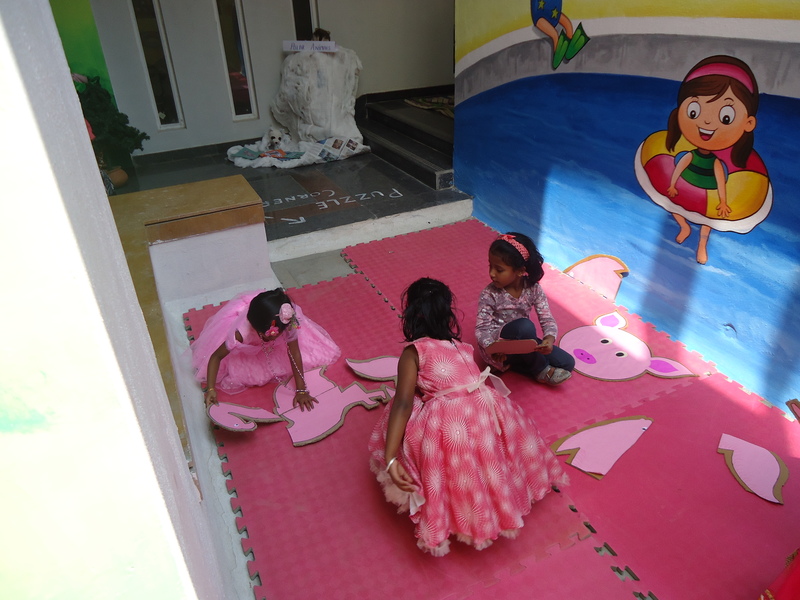 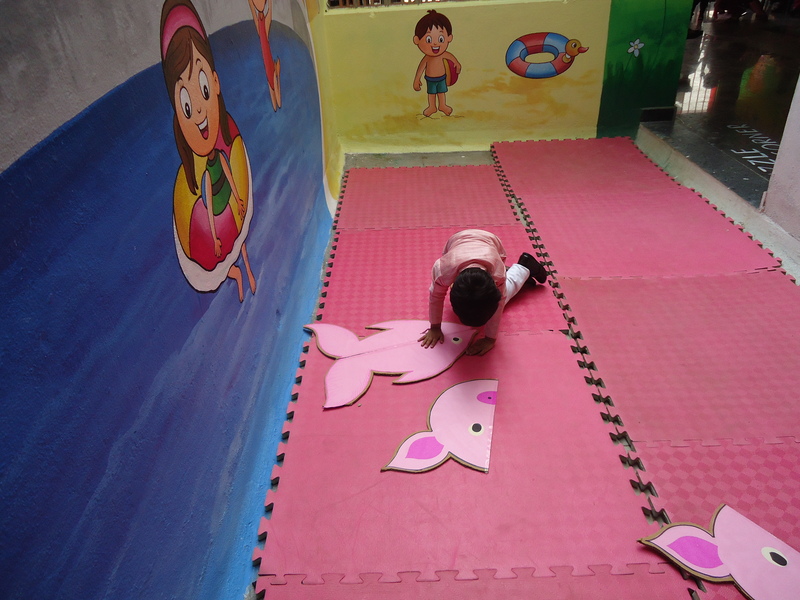 Here, in Edify, children are made familiar with colours, not only through the art and craft, but they are also taught to connect them with the concepts they learn. To set in the mood of event and to celebrate the colour of the month, PINK, a leaf way was made in the form of creeper. The child was asked to jump on each leaf (For IK1 vowels, for IK2 two letter sight words, for IK3 four letter rhyming words and four letter sight words were written on the leaves). The child had to recognize each letter or word. 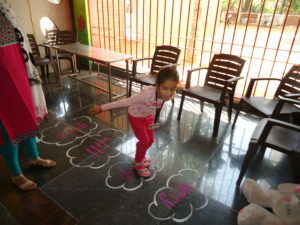 With the loop jump the IK1 children started recognizing the numbers and sounds. IK2 recognized backward numbers and IK3 did skip counting of tens. 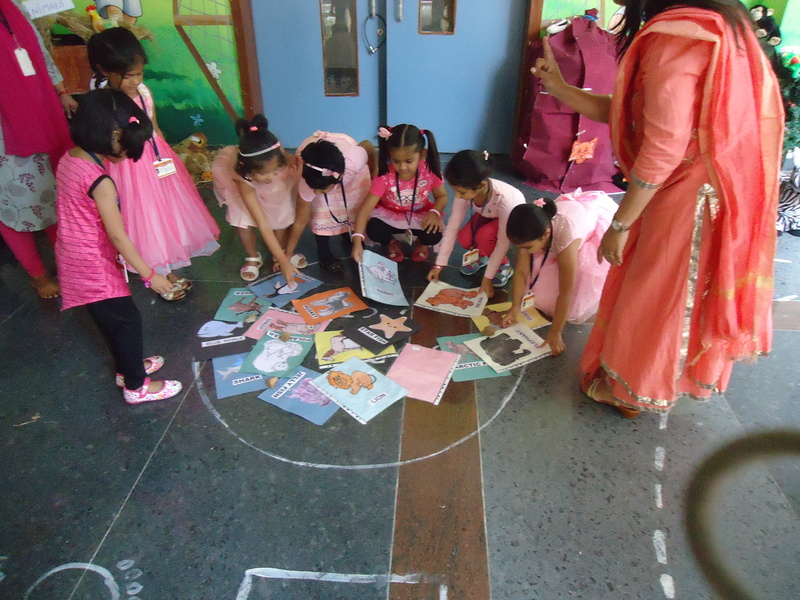 For IK1, show and tell activity was conducted. 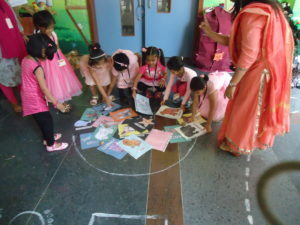 IK2 and IK3 had pick and speak activity. IK3 children had pick and speak about animals. 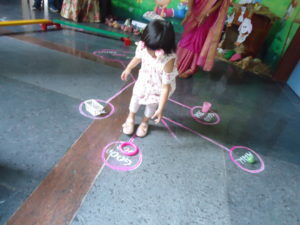 The children followed the arrows showing directions and picked up the pink objects (pink glass, ring, etc) taking instructions from the facilitator. Proceeding forward, the child had to reach a puzzle corner. 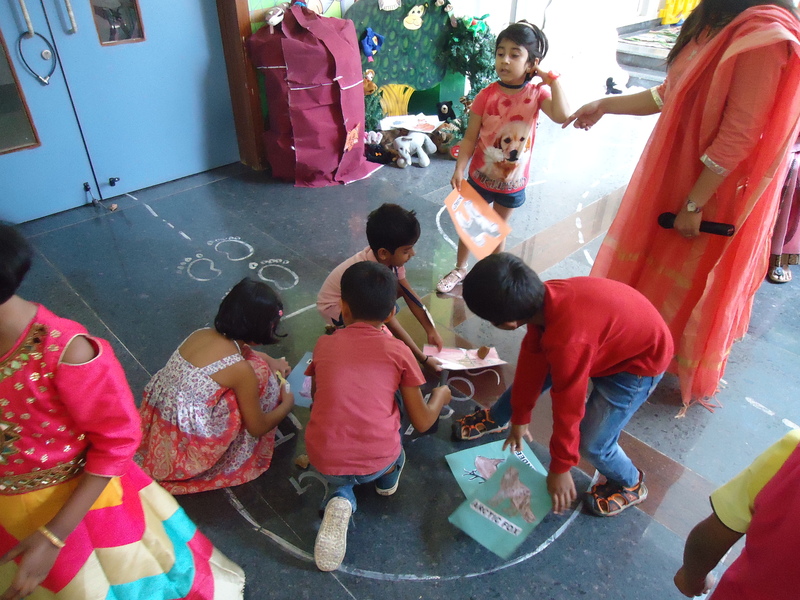 IK1 had two part puzzle, IK2 had 4 part puzzle and IK3 had six part puzzle to solve. 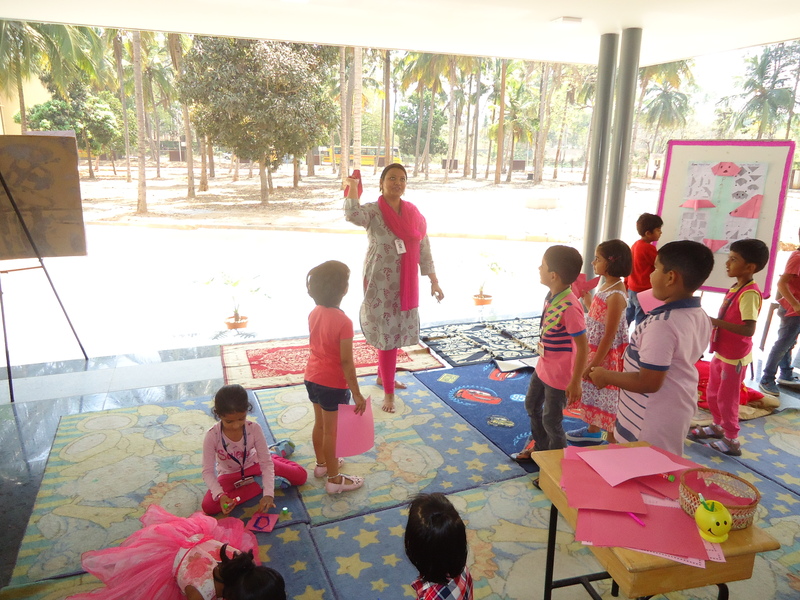 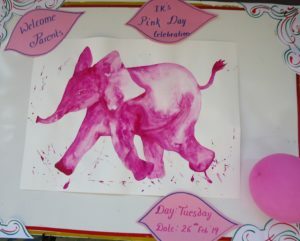 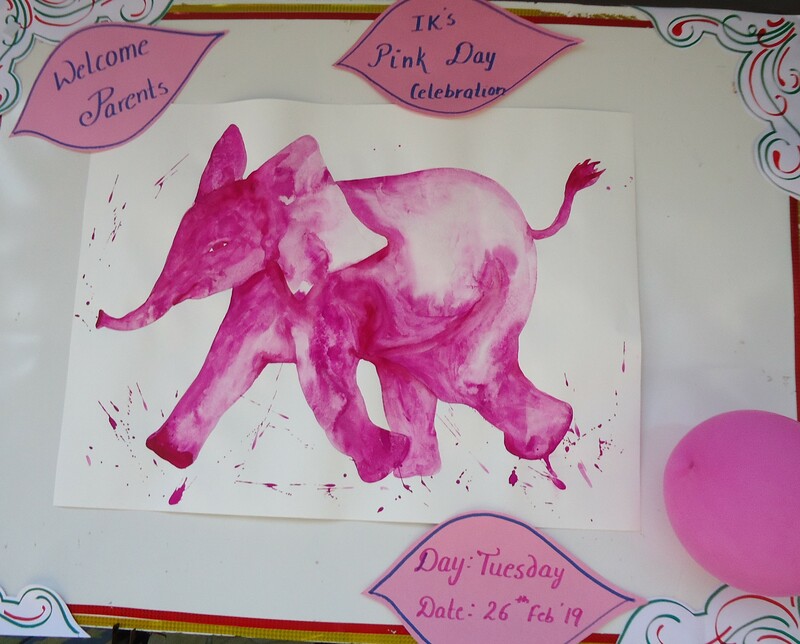 Another interesting activity conducted for all the IK sections was bombing the animal sounds and recognizing the sounds. 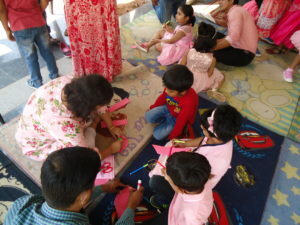 This was followed by preparing origami with parents. 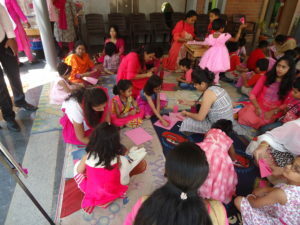 Parents accompanied their children during the activity. 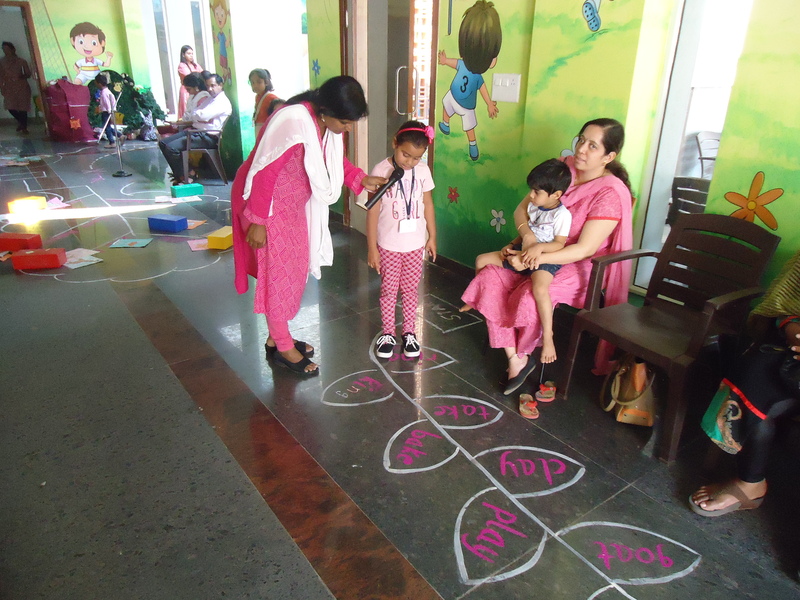 They were very happy to know that their child was able to take oral commands, was able to identify the alphabets, shapes, words, direction, was able to pick and speak, solve puzzles and recognize the sounds. 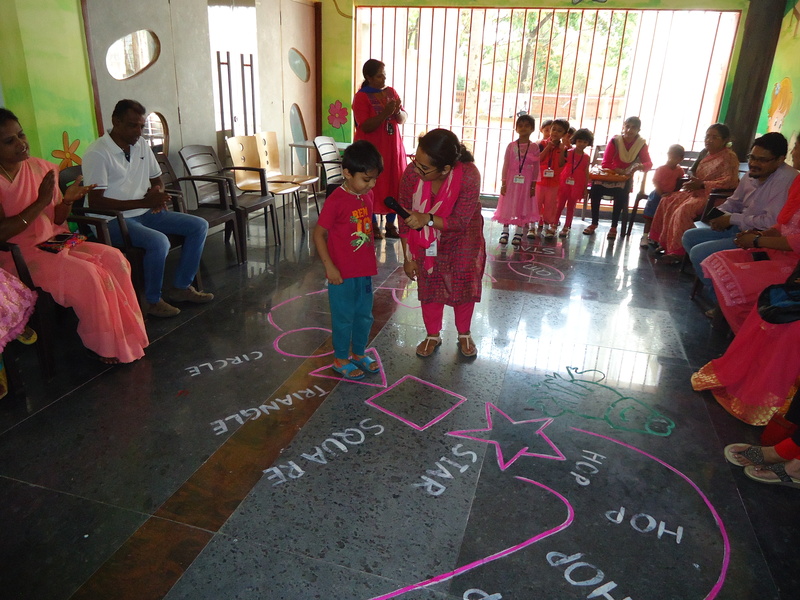 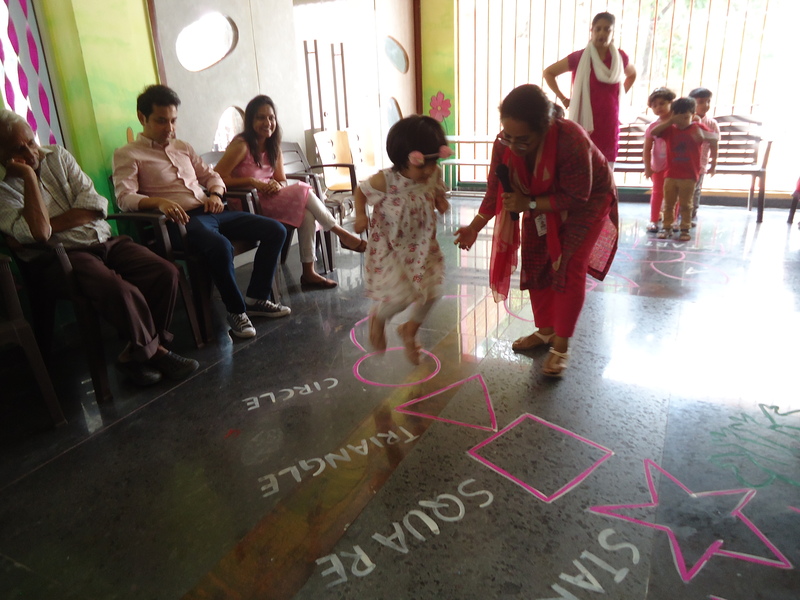 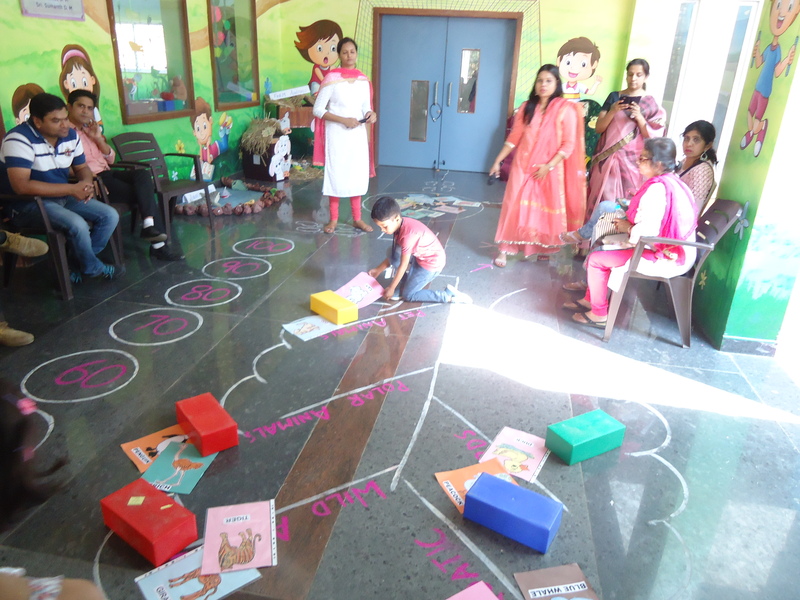 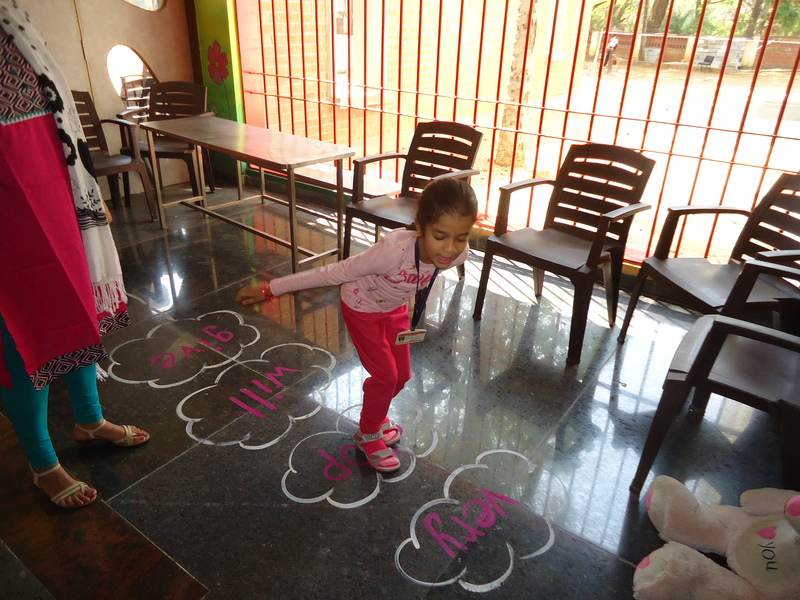 Parents were amazed to know the play way method through which the children are taught concepts at Edify. 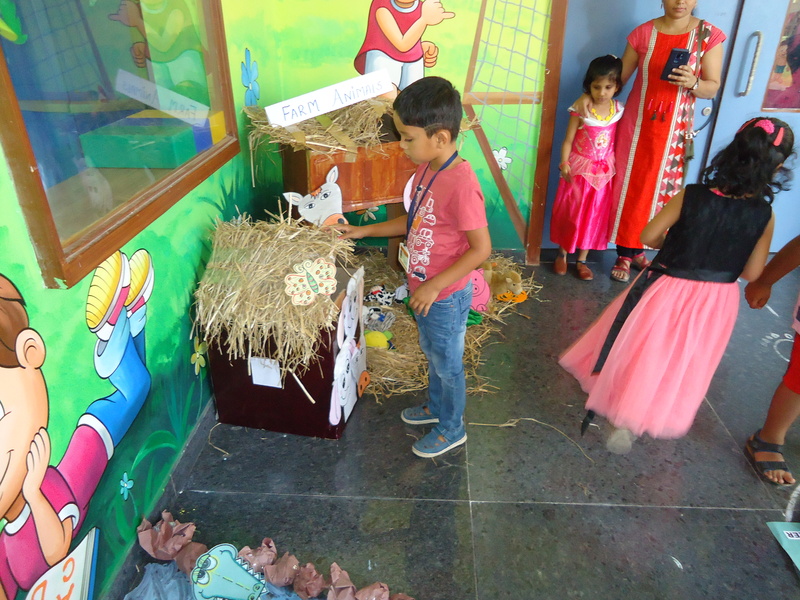 Teachers’ effort in making the children understand the concepts was highly appreciated by the parents.